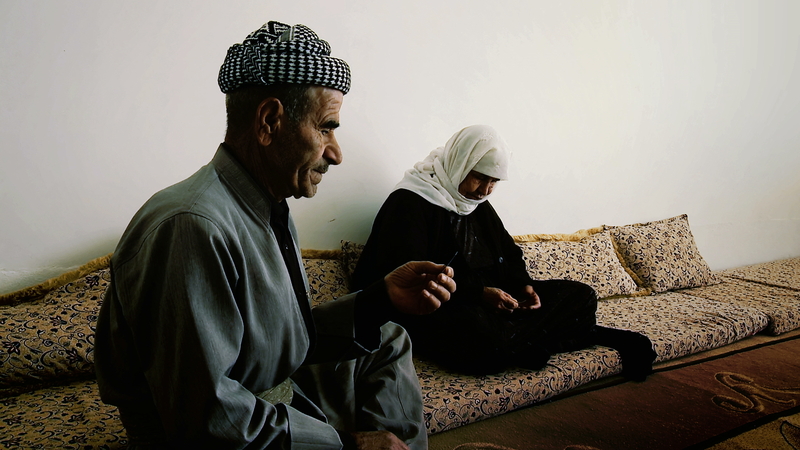 Guze village was preparing to celebrate a wedding when Iraqi jets attacked with poison gas. AISHA HAJI SALAM and her then fiancee ADAM MOHAMMED YOUNES were captured and two of their sons taken away by Iraqi soldiers. 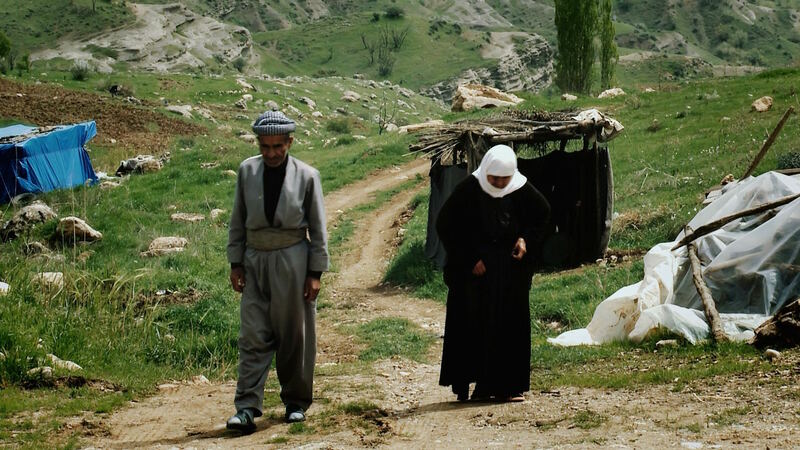 In late August of 1988, Aisha Haji and Adam Mohammed were preparing to celebrate a wedding when Iraqi jets began bombarding Guze village in the Gara mountains with poison gas. The bride and groom escaped to Iran that same day whilst Aisha and Adam fled with their two sons and around 100 other families. The next day, “jash”, Kurdish tribesmen working with the Iraqi Army, surrounded Guze, which is south of Iraq’s border with Turkey, and captured 99 men who were subsequently executed. The families who survived fled east to Iran or north to Turkey. Aisha, Adam and their family were not so lucky. They were captured by the Iraqi army and brought to the notorious Nizarka prison on the outskirt of Duhok city. Their two sons were tortured there. 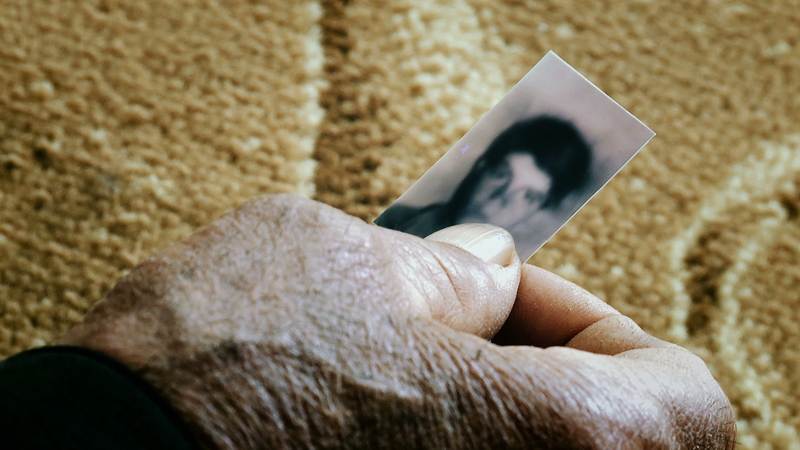 These young Kurds were driven away and never seen again. The poison gas attacks on communities nestling in the Gara mountains was part of Saddam’s Eighth and final Anfal campaign against the Kurds. This was the heartland of the Kurdistan Democratic Party (KDP) led by Masoud Barzani whose family had led the fight against the central government since the 1930s. The Eighth Anfal campaign brought about the collapse of Kurdish resistance in the Bahdinan region just south of the Iraqi-Turkish border. After their capture by Iraqi forces, AISHA HAJI SALAM and her husband ADAM MOHAMMED YOUNES were separated in Nizarka prison in Dohuk. Women and children were moved to a guarded camp near Erbil where Aisha would spend the next three years of her life. Kurds arrested by the Iraqis were taken to the many holding camps used to process Anfal prisoners. Here, young men were separated from their families and later executed and buried in unmarked graves. Nizarka was one of the most notorious in the Bahdinan region. Prisoners who survived here lived in desperate circumstances: food and water were scarce and medical help was virtually non-existent. After nine days, when the Anfal campaign was at an end, many Kurdish Anfal prisoners were moved to Baharka internment camp on the northern outskirts of Erbil. Aisha and Adam fled to Iran where they lived for several years in a refugee camp before returning to Iraqi Kurdistan. More than 100 people from Guze village died during Anfal. Guze village is situated in an area controlled by the Kurdistan Democratic Party (KDP). Between August and September 1988 villages in this region were attacked with poison gas by Iraqi jets.